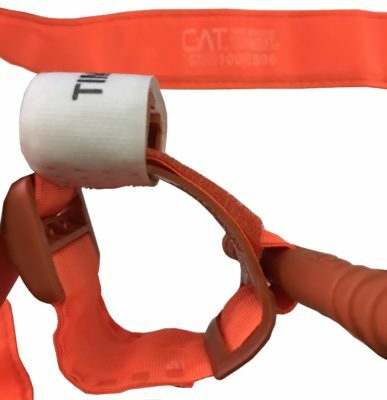 There is a wealth of information on how tourniquets help those hurt in combat and on injured civilian adults, but very little data is available on children. In an article printed by the Boston Children’s Hospital, trauma centre director, David Mooney, MD has spoken about the two children that had tourniquets applied in the aftermath of the Boston Marathon bombings. Tourniquets proved to be the difference between saving a life and losing one that day, and the two children that did have tourniquets applied are both doing well today. The Committee for Tactical Emergency Casualty Care (C-TECC) was convened to speed the transition of military medical lessons learned from the battlefield to civilian response in order to reduce preventable causes of death in both first responders and civilian population. Tactical Emergency Casualty Care (TECC) is a set of evidenced-based and best practice trauma care guidelines for civilian high-threat pre-hospital environments. The civilianised TECC guidelines were built from the Tactical Combat Casualty Care (TCCC) guidelines using critical medical lessons learned. In summary, Tactical Emergency Casualty Care (TECC) is the civilian evolution and application of the military Tactical Combat Casualty Care (TCCC) guidelines and the TCCC as a system, has limited application in the civilian setting. 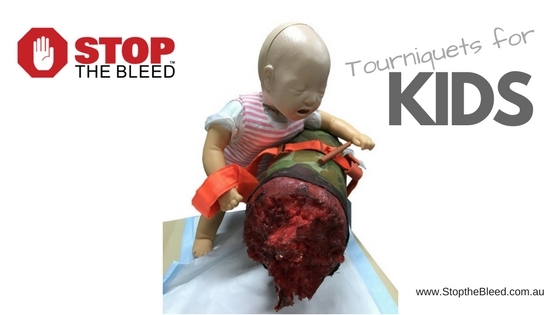 Whilst undertaking my TECC course, our instructor made it very clear on more than one occasion that the TECC guidelines DO NOT recommend any one type of tourniquet whereas the combat casualty care (TCCC) guidelines have two approved tourniquets for use. Just because a product is used or recommended by the military does NOT mean it is the best for civilian use. Children are not accounted for in the TCCC guidelines as they are not in the military deployable population. As such, the C-TECC specifically examined the research and data specific to the paediatric population and created a specific set of recommendations for children. For any traumatic total or partial amputation, a tourniquet should be applied regardless of bleeding. When time and the situation permits, a distal pulse check should be accomplished on any limb where a tourniquet is applied. If a distal pulse is still present, consider additional tightening of the tourniquet or the use of a second tourniquet, side by side and proximal to the first, to eliminate the distal pulse. There is a very good reason why I include at least 5 types of tourniquets in the Stop the Bleed workshop, and that’s because we are all as different as the tourniquets we have to choose from. But more importantly in the civilian setting, the tourniquet we choose needs to be effective for all ages and in some cases, suitable for animals as well. What may very well be an approved product for the military may not have a place in the civilian setting. This is a photo showing the diameter of the CAT Tourniquet when pulled tight. It has been said before; there is not one perfect tourniquet available on the market today. Each tourniquet will have some great benefits, but will also have some not so great ones, and this is where the RIGHT training can make all the difference. Also consider the need to operate within the manufacturer’s recommendations. Consider the liability of modifying any product or operating outside of the instructions for use. When minutes matter and we are placed in a stressful situation, it may very well come down to the right training and right equipment.